Former WFAA8 reporter Dan Ronan has decided to leave television news behind to become corporate communications manager for the Irving-based American Automobile Association of Texas. "I said in November things would work out, and they have," Ronan said in an email to unclebarky.com. "The TV news business is going through a transformation right now, and it seems like an excellent time to put my communication skills to use in a different medium." Ronan, 48, had spent just over four years at WFAA8 before the station abruptly terminated him without explanation last November. Neither side will talk publicly about the matter. For the past few months, Ronan worked as a freelance correspondent for the CBS network's Dallas bureau. He had spent a total of 20 years in TV news. "I had a great career, one I'm very proud of. The nice thing is, I finished on my terms," he said in the email. "As for my former colleagues at WFAA, many have called me and I'm very grateful . . . The great thing about the AAA is they really like my transportation knowledge and ties to the community." Ronan said he'll also try to work with Fox4 reporter Jeff Crilley and his impending new Real News PR firm, but only on a temporary basis at best. 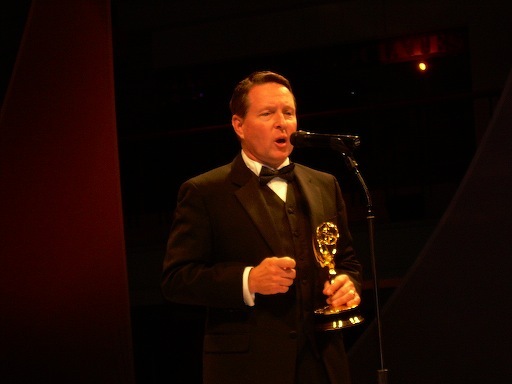 As previously reported, Crilley is leaving Fox4 at the end of May to launch his own company. He recently named Ronan and three other former D-FW television reporters -- Robert Riggs, Clif Caldwell and Susan Risdon -- as part of his ground floor nucleus. Other local TV newspeople who have opted for new careers of late include Sarah Dodd (CBS11), Jason Overstreet (also leaving Fox4 at the end of May) and Chris Heinbaugh (WFAA8).